It's here after a long, hot summer! 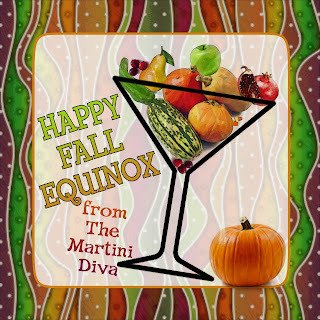 The Autumnal Equinox has arrived and with it falling leaves, cooler temperatures and that crisp nip in the air. Come this time of year I love nothing better than to sit out on my deck on a cool desert evening and enjoy a cocktail as I watch the wildlife scurry about and the gorgeous Arizona sunsets over the tops of the late blooming Saguaros. Back East I would be wearing a jacket, firing up my deck fire pit and planning a trip to the pumpkin patch but here in the desert of the Southwest I am happy just to enjoy relief from the triple digit heat and harvest my prickly pear fruit! No matter where I am located, it's this time of year my cocktail fancy turns to the fall flavors of apples, pears, pumpkins, hatch chiles, pomegranates, cranberries and cinnamon to sip. So I have gathered together some of my favorite Fall Martinis and Cocktails featuring the flavors, fruits and produce of Fall for myself and to share with you. 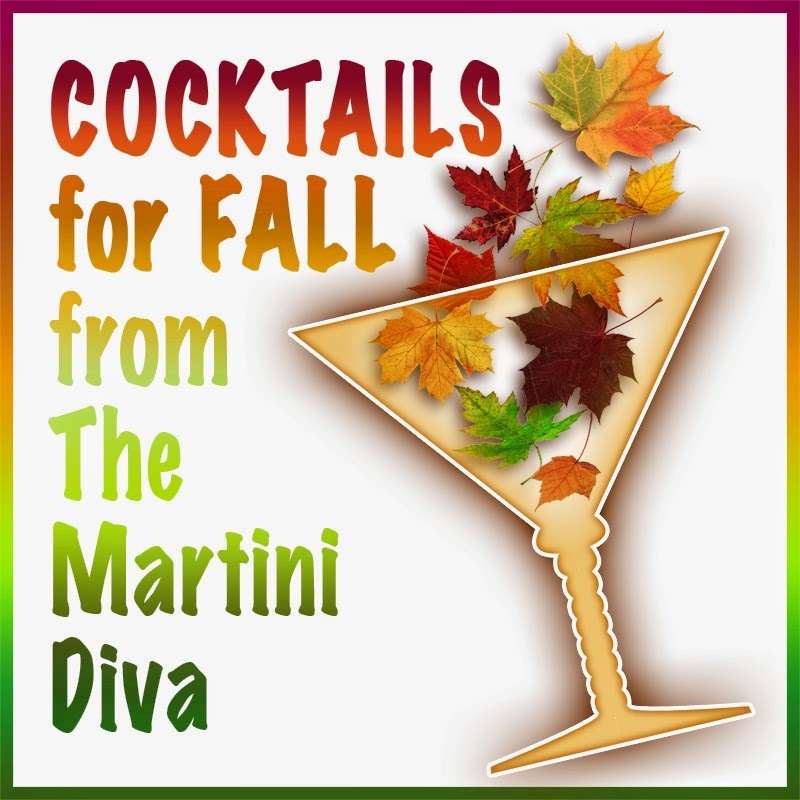 FALL COCKTAILS The FALL APPLE JACK MARTINI APPLE COBBLER MARTINI APPLE PIE COCKTAIL, Hot & Cold APPLE SAUCE CAKE MARTINI BOURBON APPLE TARRAGON SMASH CARROT CAKE MARTINI CANDY CORN COCKTAIL CANTALOUPE DAIQUIRI CANTALOUPE MARTINI CRANBERRY A GO-GO COCKTAIL CRANBERRY POMEGRANATE MARTINI GINGERBREAD MARTINI GINGERBREAD MAN MARTINI HATCHCHILETA MARGARITA INDIAN CANDY CORN COCKTAIL PARTRIDGE IN A PEAR MARTINI OH, PEAR MARTINI PEAR CHAMPAGNE MARTINI PEARS HELENE MARTINI POMEGRANATE MARTINI POMEGRANATE MARGARITA SPICED RUM POMEGRANATE FIZZ ORANGE POMEGRANATE MARTINI SPARKLING POMEGRANATE MARTINI PRICKLY PEAR CACTUS MARTINI LOADED CACTUS SLIDERITAS PUMPKIN MARTINI PUMPKIN PIE MARTINI SPARKLING CANDY CORN MARTINI You might also want to check into making some great HOMEMADE FALL LIQUEURS & SYRUPS: PUMPKIN LIQUEUR GINGERBREAD LIQUEUR CANDY CORN VODKA CARAMEL APPLE VODKA INDIAN CANDY CORN VODKA & COCKTAIL CANDY CORN MOONSHINE & COCKTAIL HOMEMADE POMEGRANATE SYRUP (Grenadine!) Or check into preserving some of your late summer produce harvest in some COCKTAIL SHRUBS.